Since two years Frankfurt celebrates in early summer the Luminale. A festival of light in the whole town many Buildings are illuminated with colorful light created from artists. A very wide variety of illuminations from special created handcrafts to blue and orange powerplants can be seen here. 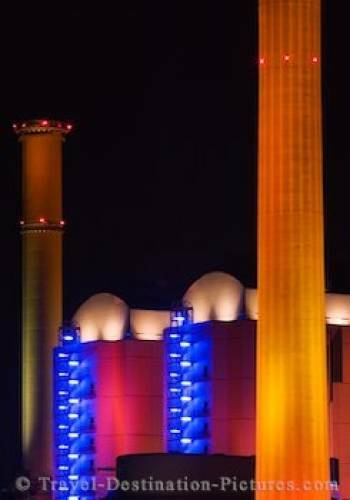 This special picture shows the lights at the powerplant in the western part of Frankfurt.